Canadian professed religious of the Congregation of the Holy Cross. Revered as the “Miracle Worker of Montreal,” André was born in St. Gregoire d’Iberville, near Montreal Canada. He was the founder of St. Joseph’s Oratory in Montreal, Canada, perhaps the world’s principal shrine in honor of St. Joseph. André was the eighth child in a family of 12. Orphaned at the age of 12, he tried his hand at various trades but was not successful in any of them. He could barely read and write and was sickly most of his life. At the age of 15, he became a Brother of the Holy Cross but was rejected at the end of the novitiate. 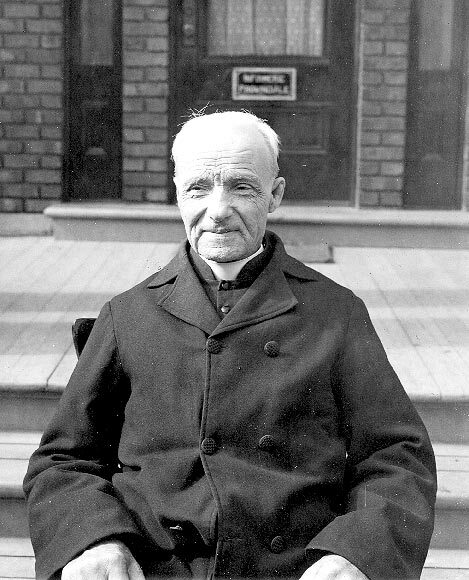 At the insistence of the Bishop of Montreal, however, Brother André was allowed to make religious profession. For forty years, he worked as porter of the College of Notre Dame, until he was needed full time at the Shrine of St. Joseph. People from all over Canada came to him for cures or for spiritual direction. From 1910 through 1937, an estimated ten thousand people received healing through Brother André’s ministry—at least one every day. Successful in raising sufficient money, the Oratory that he had built in honor of St. Joseph was solemnly dedicated in 1955 and raised to the rank of a minor basilica. When he died at the age of 91, it was estimated that close to a million people came to the Oratory to pay their last respects. They honored him because his ministry had touched them, their relatives, or their friends. And because they regarded him a saint. The significance of the life and works of Brother André for today’s Christian is the fact that this humble Brother, who could scarcely read or write, was chosen by God as an instrument for good. As we read in the Preface for Martyrs, God reveals his power shining through our human weakness. Bunson, Matthew and Margaret Bunson. “Encyclopedia of Saints-Second Edition.” Indiana: Our Sunday Visitor, 2014.